View the entire table of contents for the July 31, 2001 issue. July 31, 2001 Barrel Making White Wines, New Barrels: The taste of new oak gains favor worldwide By Daniel Sogg Vanilla. Honey and caramel. Coconut, cinnamon and cloves. Once chiefly associated with baked goods, these flavors, resulting from fermentation and aging in new-oak barrels, are increasingly popular in white wines. 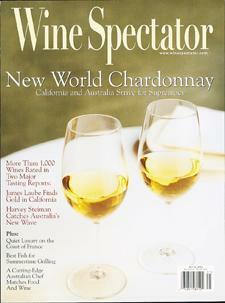 For the full article, check out the new issue of Wine Spectator, on newsstands July 31, 2001.